Storms... fires... wild animals... Cute little people are in danger all around the world, and you are the only one who can save them. Your main recovery tool is... your finger! Catch them and drag them across the levels while avoiding burning buildings and dangerous animals. What are you waiting for? The clock is ticking! The Special bundle, and the mountaineer outfit, altogether worth $5.00 for FREE TODAY! 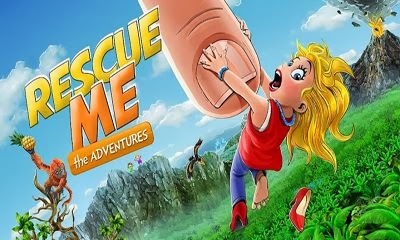 Casual action - innovative puzzle game with drag-and-drop controls and cute cartoon graphics. Many challenges - save cute little people from hazardous situations, like fires, predators, wild storms... before time runs out!